Bradley Wiggins destroyed the opposition to win his first Tour de France stage in the 41.5km individual time trial from Arc-et-Senans to Besancon this afternoon. The Team Sky rider beat team-mate Chris Froome by 35 seconds, while early pace setter Fabian Cancellara (RadioShack-Nissan) had to settle for third. Crucially though for Wiggins, he finished an impressive 1-43 ahead of defending champion Cadel Evans (BMC Racing), with Vincenzo Nibali (Liquigas) 2-07 in arrears. Going into tomorrow’s first rest day, two British riders sit first and third on GC, a remarkable feat and one reminiscent of last year’s Vuelta. Evans is now 1-53 behind Wiggins, with Froome just 14 seconds behind the Australian. It initially appeared that Cancellara’s time of 52-21 for the undulating course would be enough for him to notch up his ninth Tour stage victory. Tejay Van Garderen (BMC Racing) looked like he was going to knock the Swiss rider off top spot. However, after a fast start, Van Garderen finished nine seconds off the provisional fastest time. 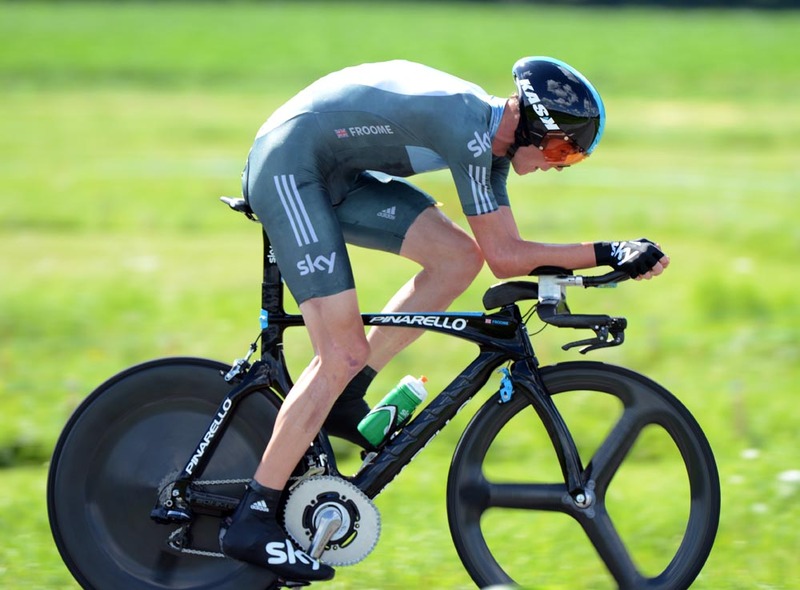 By then, Froome was underway and going even faster and, having set the fastest time at both checkpoints along the course, he duly set the fastest time. 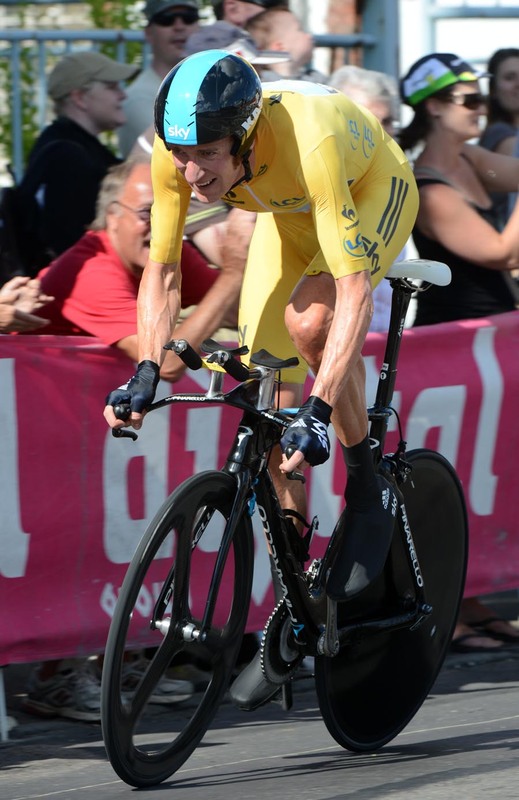 With only five riders left to finish after Froome, it seemed likely that only Wiggins could beat that time. And that was exactly what he did; five seconds faster at the 16.5km mark, he was 16 seconds quicker at the 31.5km check. Come the finish, Wiggins had put an impressive 35 seconds into his team-mate. Froome’s ride was still good enough to see him leapfrog Haimar Zubeldia, Denis Menchov and Vincenzo Nibali on GC. Aditionally, only four riders are within three minutes of Wiggins on the standings, and seven sit under five minutes. “Everyone was tired last night, and you don’t know how you were going to recover, but that’s what I’m good at,” Wiggins said afterwards. “I felt good today, as soon as I did my first pedal stroke I knew I was on a good one. Frank Schleck (RadioShack-Nissan) now lies 8-19 off Wiggins in 17th place, with former Giro winners Ivan Basso and Michele Scarponi 9-06 and 10-27 behind respectively.